Historical building restoration is of vital importance – preserving the heritage of our country for future generations is something that should be considered essential. Here at Concrete Renovations, we pride ourselves in doing all that we can to restore and conserve our country’s historical buildings. When you work in the renovations industry, it is the biggest names in culture, heritage, and architecture that are most highly sought after – names that are instantly recognisable. We are proud to say that we have worked on buildings as memorable as Westminster Abbey and various Cambridge University buildings. 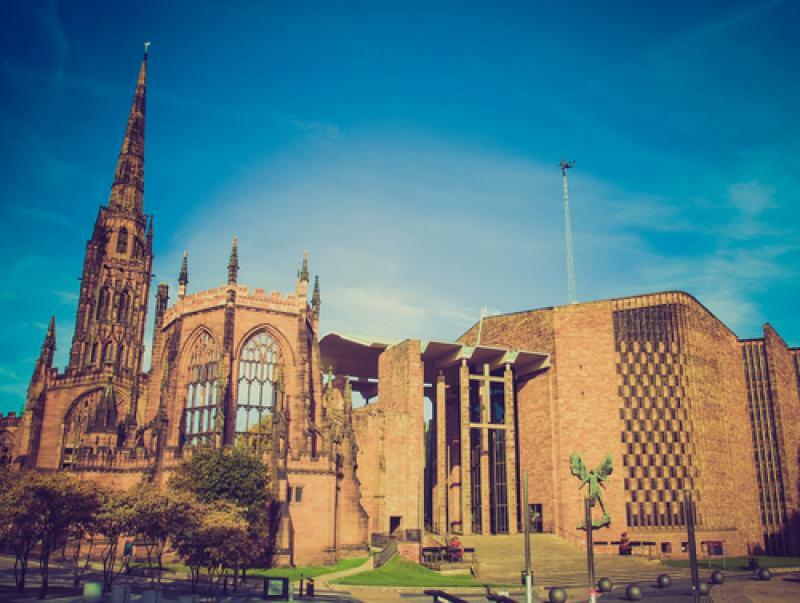 Coventry Cathedral is another prestigious building that we have worked on in the past. But how much do you know about this impressive structure? Over the years, the city of Coventry has had three cathedrals. The first was a monastic building called St Mary’s, of which only a few ruins remain. The second was the 14th-century Gothic Cathedral, St Michael’s. Today, the ruins of St Michael’s survive as a shell, after the building sustained severe bombing during World War Two. The latest is the new St Michael’s Cathedral, which was built after the destruction of the former. This was consecrated in the presence of the Queen in 1962. The place we know as Coventry Cathedral today consists of two buildings – the ruins of the old Cathedral and the new Cathedral structure. After the old Cathedral had been destroyed, the decision was taken to preserve the remaining structural ruins as a moving reminder of the folly and waste of war. This makes the Cathedral building a unique structure, embracing the future while commemorating the past. In 2002, we were called in to assist with the historical building restoration work being carried out at the Cathedral. The Cathedral structure features a striking concrete porch, linking the new Cathedral buildings with the ruins and protecting the steps which follow the line once formed by St Michael’s Avenue. We used the Sika Ferrogard 903 system to help protect and conserve the concrete porch – carrying out the necessary concrete repair work with little disturbance to the daily life of the Cathedral. We are honoured to have been asked to work on a building with such cultural significance as Coventry Cathedral. When it comes to establishing the quality of our work, our impressive portfolio speaks for itself. If you are in need of historical building restoration or concrete repairs, look no further than Concrete Renovations.